Delicious Sangria recipes that you can try at home easily. Wine, red, alcohol, fruits, chiller and ice… What has evoked in your mind when you read these words? Summer, friends, passion, taste, fun, dance and peace evoked in mine. Or, if only one word is needed, Sangria is enough to be the target of these connotations. 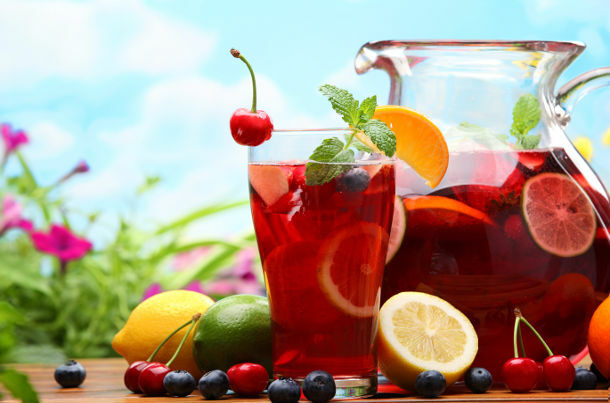 A Spanish elixir, Sangria is the most popular drink in Spain and has a world-wide reputation. Although different recipes are possible, it is generally made of red wine, rum, fruits (orange, lemon, peach or apple) and soda. The name of Sangria is derived from “Sangre” which means blood in Spanish. Don’t only think about the color. Just like blood, Sangria gives life to the bodies. Do you want to refresh yourself with this magical elixir? You don’t need to worry about finding a good one in your country. Make your own Sangria at home! If it sounds impossible to you, just cool down. Home recipes for Sangria are just more popular than the ones that you can try at the bars because it has the social spirit in it and a bit more laughter. 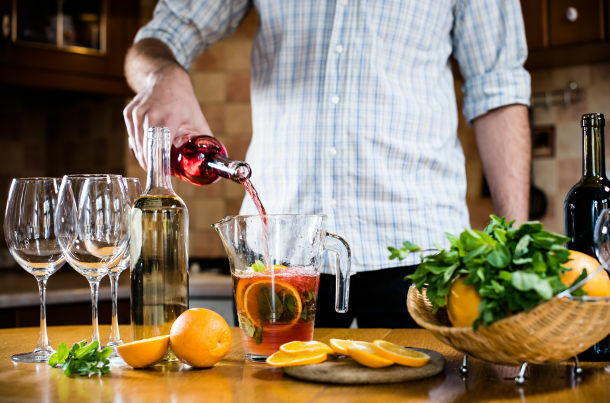 Here are two luscious Sangria recipes for you to try at your house parties! Mix the red wine, triple sec, brandy, lemon juice, orange juice and sugar in a large bowl. Slice the lemon, lime and orange and put them in the mixture. If you fancy a rich flavor, you can float a few cinnamon sticks. Refrigerate your Sangria overnight to get the best flavor and if you like it fizzy, you can add some soda before serving. Stir together the fruits with honey and add the brandy in a saucepan. Cook it until boiling over medium-low heat. Then leave it to cool down and then add wine stirring. If you refrigerate it up to 24 hours, you’ll get the perfect taste for sure. However if you can’t wait to taste it, it’s up to you! Add ice cubes and the soda stirring before serving.